Quite often, and especially in the paranormal field, we tend to tout our achievements and beat on our chests, “Look where we’re going! Guess what we caught?” It’s a common theme, just check out the NPS Facebook posts with proud investigators displaying their “proof” on a daily basis. These acts are just as common in the workplace as everyone has degrees and achievements plastered up on their wall (I’m a guilty one) or reveling in their latest project’s success. While there is some natural tendency to proclaim ones achievements perhaps it’s time to start taking a different approach with the paranormal. Instead of proclaiming our accolades let’s start sharing our mistakes! This is something I started doing years ago while working in Law Enforcement and discovered it’s a much better learning tool than a classroom environment with someone proclaiming to be a teacher. Most people assimilate, accept and remember someone else’s mistakes with detail and even more so if it is from a friend or equal peer. So, my upcoming monthly articles will detail some of my biggest mistakes. Hopefully, if you’re reading this you can avoid the pitfalls I stumbled into. This month, I’m going to start with Audio Recorders. In March of 2009 we were visiting Waverly Hills for the first time and found a quiet section on the second floor for some EVP work. My team co-founder David staked out the North end of the Children’s Auditorium with me on the South end with about 80 feet between us. Each of us had our own audio recorder nearby and it was during this time frame when we caught our best EVP of the night proclaiming “We are here!” When we discovered this EVP we were floored with the sound level, clarity and response to a direst question: Can you give us a sign of your presence? The mistake: only having one Audio Recorder for each investigator in an oversized room and not syncing the audio recorders at the same time. Instead of “we are here!” It was actually David’s voice from the far side of the room stating “let me grab a chair” on our 2nd audio recorder. Is it possible David’s words could have been manipulated for a different response captured on my audio recorder 80 ft. away? Absolutely! But without a third Audio recorder there was not another source of data to compare and, it took quite a while sifting through the second audio recorder to find that statement for comparison. Our solution: At this time, my group has agreed to several small requirements for Audio Recording at an investigation site. First, every member present is required to have at least one audio recorder for the duration of the investigation. Second, all Audio recorders are sync’d at the beginning of the investigation and we let them run for the entire investigation, even during breaks and down time. What’s the benefit? Every Audio Recorder has the exact same time. This allows any evidence review to quickly locate a suspected EVP on another’s audio recorder for reclassification, confirmation or even triangulation of where the voice originated from. Also, by leaving the Audio Recorders on and never turning those off you are ALWAYS collecting evidence. It’s amazing how many EVP’s we have found during break time on an investigation and on some cases they are the best EVP’s of the day. If you’re on the property, let the audio keep recording! After all your Audio Recorders (with the same Time) are worked through for evidence collection over lay these Audio logs. Not only will you be able to account for every investigator’s location (which is extremely helpful if you’re running multiple teams in a large haunt venue like Waverly hills) but you’ll be able to trend hot spots and compare EVP’s. If you’d like more info check the Resources Tab for the Documentation Spreadsheet. Finally, once we’re done reviewing, comparing and reclassifying possible evidence we’ll ask a team member who did not participate in the investigation to review the summarized evidence for a clear perspective. They can cue up and review all audio logs for comparison and weigh in on the possible evidence collected from the investigation. Now, one of the best things about a mistake is discovering a way not to repeat it. While you may avoid the same pitfall your (or in this case my) solution still may not be the best. Recognize there is always a better way to do something. If someone has a better idea or evolved a similar yet superior solution always explore and refine your own. Remember, if we don’t continue to change with the times we become extinct. Then someone might be trying to coax an EVP out of you…. Ken is a graphic designer, web developer and co-founder of One True Paranormal, a para-group in southwest Missouri. For newbies and first time investigators into the Paranormal there is always an impatient desire to witness a true unexplainable moment of supernatural perplexity. This insatiable curiosity, while at the core of being human, drives so many to ask: what is the best way to witness and capture these events? Eager minds search for teams to join, invest in expensive equipment and look forward, with great zeal, for their chance to dabble in the unknown. But instead of asking how, many need to consider a more meaningful question: do I really want to see what’s on the other side? For many, tormented or already living with the paranormal, it’s not a choice and never was. Speak with them candidly and you’ll find a mix of those who are just as grateful as you will those that wish they could just turn it off once and for all. But for thrill-seekers who want to have a paranormal experience, many are all too willing to throw caution to the wind all in the name of occult adventure. 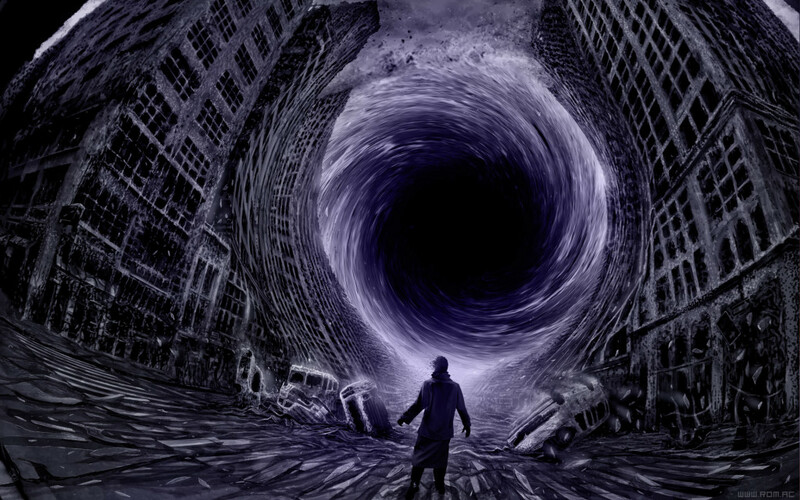 But just as Friedrich Nietzsche’s infamous quote warns, “When you look into the abyss, the abyss also looks into you,” once you gaze into the world of the paranormal it suddenly notices you as well. If you (like me) are someone who never was traumatized or gifted with the paranormal, you really don’t realize what you’re getting yourself into. “Rounding the corner” as I call it, and moving past that state of not noticing and not being noticed, places you and your loved ones into a plane of both intrigue and danger. In my extensive travels and networking with several teams and specialists I noted the same 3 types of individuals within the paranormal groups. Group 1 are those who have been traumatized by a paranormal event, often affecting them and their entire family several years ago, who now want to understand and confront their own personal fears. You can say what you want, but I think these folks are pretty fearless. Group 2 are those that claim to be sensitive or have gifts within the realm of the paranormal. They often seek to explore and further their own personal education of the unknown, sometimes helping others along the way. While this group is very important there are, unfortunately, some posers that damage the reputation of the entire group instead of just the individual. Finally there is the third group, regular people (whether they are the average Joe or a legitimate scientist) who have never been a victim, witness or bear any gifts within the realm. This 3rd group, in my opinion, is the fastest growing within the field and the one with the least experience to prepare for what can happen after rounding the corner. Now, to be clear, I’m not saying anyone from the 3rd group shouldn’t pursue their interest, but if you’re in that group you need to recognize the repercussions of what can happen to you and your loved ones. While there is a long list of potential negative affects I’ll keep it very short and break it down into the basics of the physical, mental and the spiritual. Physical ailments can range from the simple symptoms of an assault (pinch, slap, blow, scratch) that normally are brief and bear no long lasting marks, to something that may attach itself to you, causing disease and serious long lasting health effects. Many investigators report a loss of energy and general feeling of lethargy that may be isolated to just themselves or may spread throughout their entire household. Throw on top the environmental risks associated with stumbling around old buildings (asbestos, mold, etc.) and you have serious potential risks to your physical health. Mental instability after witnessing a paranormal encounter is rarely talked about but it’s a topic worth considering. It’s one thing to see a single apparition/manifestation or disembodied voice after attending dozens of paranormal investigations (alas, your prize has been found!). It’s another if you’re visiting a friend and suddenly you witness a 8 ft. tall negative entity manifest in their living room and turn its head to look directly at you (Yes, I see you too!) Or find that the disembodied voice now comes just before bedtime when your house is quiet and a symphony of different voices start begging, “Help me!” over and over again. It’s fantastic and rare to witness and capture these types of events on an investigation, but it’s far more frightening when they start to creep in on your everyday Life. The last, and perhaps most worthy consideration, is the possible damage to one’s spirituality. Christian, Jew, Muslim, Pagan, Atheist…..it doesn’t really matter when you step around the corner and enter the paranormal realm. For many, moments of the unexplained can be a beautiful reconfirmation of their own personal beliefs. Others find their faith tested and lacking. Nothing is more damaging than a loss of one’s faith…….This can be the start of a downward spiral. For some it’s merely a speed bump before they are back to normal. For others, it can be a dark pit of depression and oppression by the negative. Working with your friends is always fun, and there is always room for a little fun in a paranormal investigation, but it is important to keep in mind that you are on location to collect scientific data. Will your friends listen to you when they need to? Will they take you seriously? Does everyone have a reason to be there? Each person on an investigation should have a set role and a set job for that role. No individuals other than trainees on occasion should be there. Not only can having extra individuals potentially contaminate evidence, but they can also be offensive and unprofessional to both living and dead housemates for too many people to be parading through a location. In the end everyone will have a differing opinion on a location. When it comes down to it let your evidence review team make the final call based on what they have. Different individuals have different methods of investigation. Some will go on a hunch, some will remain purely scientific, others will use occult means to determine a haunting, and still others may possess some level of clairvoyance. 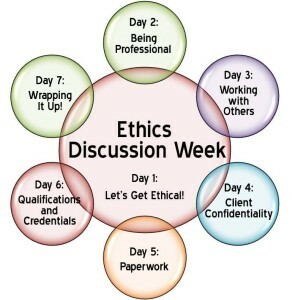 As investigators and as a team it is important to respect each others differing methods of evidence collection. One easy way to avoid issues in this arena is to set standards of what is and is not admissible evidence before going on any cases. One of the biggest problems in the paranormal investigation community is talking negatively about other paranormal groups and individual paranormal investigators. This is childish behavior and just makes you and your group appear unprofessional. 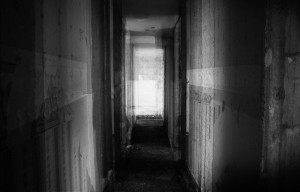 Before planning an investigation, find out if any other paranormal investigation groups have investigated the location. Try to contact the paranormal group and listen to their experiences and see if they will show you any evidence they may have. In return, offer to share any findings with other groups. This could be sharing with a group that previously shared with you or sharing findings with groups that are scheduled to investigate a location you already have. Granted, if the client has asked that the finding not be shared publicly then remind the group you plan to share the information with of that. In fact, it is always good to include a form that either grants or declines the sharing of findings with other groups for the client to sign for legal purposes. When working with other teams it is not the point to be the “winner”. Although we may all have differing investigation methods we all lose when we tear each other apart and claim fake on someone else’s work. If there is something you don’t understand in another team’s work take the time to question what brought them to that conclusion. Inquire on any history that you may not have on the location. If you see an error in evidence take the time to gently explain the error rather than calling fake. We all started out somewhere and by helping an individual better understand a mistake you are making more allies than you are by calling them out as a fake, a fraud, or a noob.